Shroud Encounter is a dramatic big screen experience and in-depth exploration into the mysteries of the Shroud of Turin. Using a CSI approach, audiences are taken on a thought provoking adventure through early church history, ancient art, modern science, and medical forensics. Could the Shroud be the most important archaeological artifact ever found, or is it just a medieval fake? Does it provide clues to what happened during the crucifixion and resurrection, or is it just a pious art work created to represent these events? After thousands of hours of scientific analysis, the Shroud remains a profound mystery. International lecturer and researcher Russ Breault has presented to hundreds of audiences over the past 25 years. He is recognized as a leading expert and an engaging speaker able to captivate audiences with both skillful delivery and depth of knowledge. The first is a secular version suitable for state supported schools. The presentation is interdisciplinary and is well suited for college programs promoting spiritual diversity, multicultural programs or international programs. No claim of authenticity can be made. The audience must come to their own conclusions. 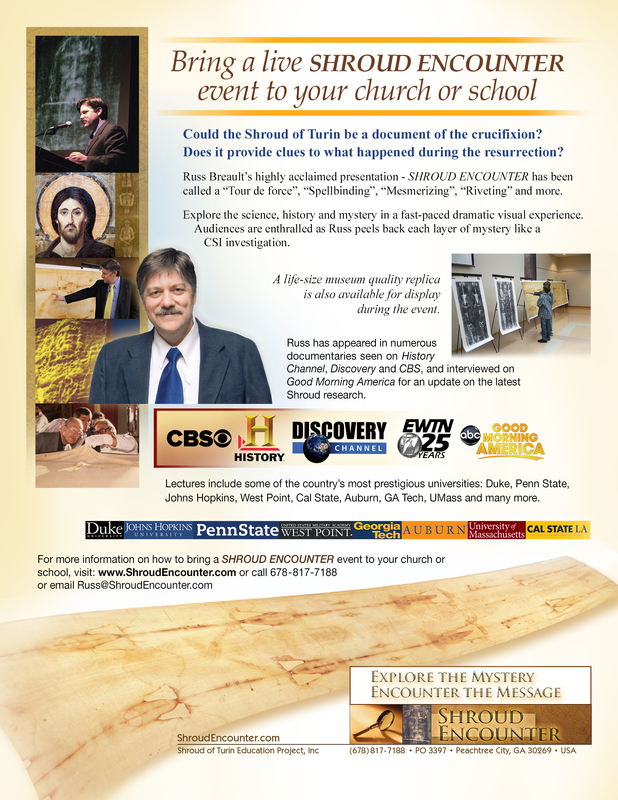 A second version is suitable for Christian schools, campus ministries or churches and explores more of the Shroud’s religious implications. Both approaches are fascinating and are offered to accommodate different requirements of the sponsoring organization. Read more about Russ Breault’s approach at CSI-Jerusalem.